Visitor numbers this year rose significantly and the public response was misjudged by many of the press who continued to find fault with the Prize. Vong Phaophanit’s Neon Rice Field was appreciated by a number of visitors for its serene beauty, whereas others, in particular the press, questioned the artist’s use of unconventional materials and his right to be shortlisted (he is of Laotian origin). 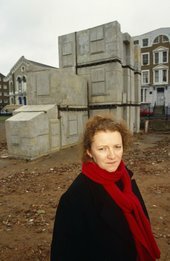 The widespread support for winning artist Rachel Whiteread’s House, a public sculpture condemned for demolition by the local authorities, was another example of the growing interest in contemporary art. 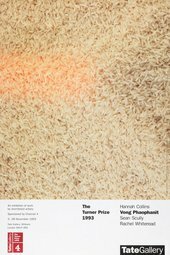 I am writing to say something about one of the pieces of art in your gallery, The Rice. Although it looks quite impressive, are you thinking about the meaning? There are people starving. I know it’s not your fault but wouldn’t it be possible to take some of the rice and do something about what it is expressing. 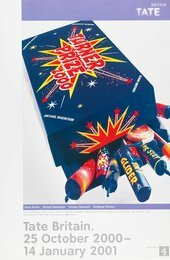 Try sending some to the starving people. I found myself surrounded by the ordinary public and forced to hear their uninformed chatter. They were prepared to stand in front of the exhibits and think for themselves … I was shocked. The public actually enjoy this stuff … Could it be that the critics are out of touch?